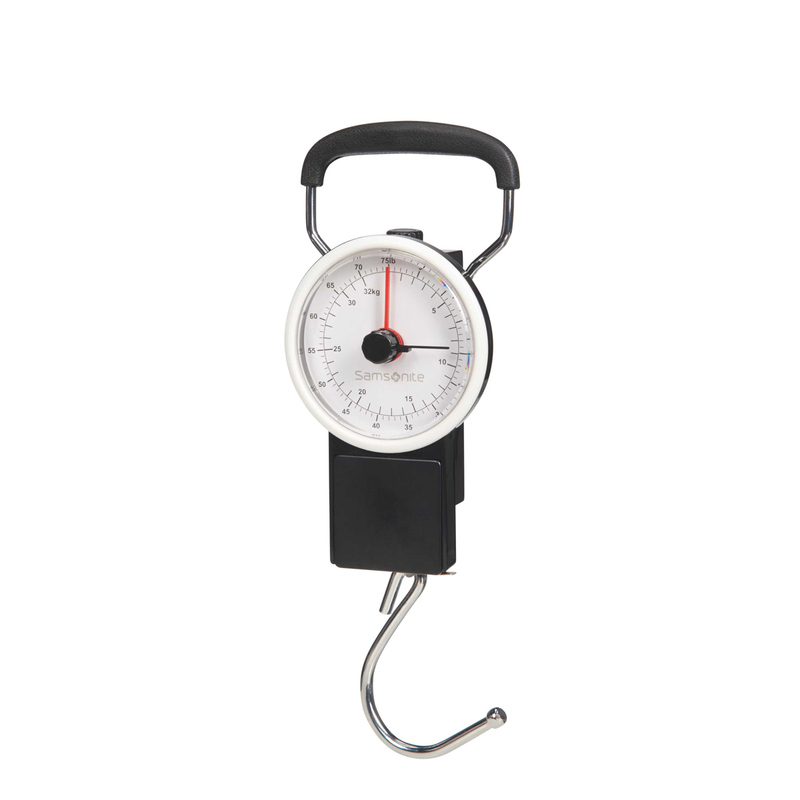 Pocket sized Samsonite luggage scale registers up to 32 kg (75 lb). Easy-to-read locking dial and comfort grip handle. Built-in 100cm tape measure to check luggage dimensions. no batteries needed.